Zenith Bank (UK) Ltd launches into the UK market with several fixed rate bonds, including a two-year fixed bond which pays 1.52% yearly. Savers must invest from £1,000. Additions and early access to funds are not permitted. This deal is for savers aged 18 and over and must be operated online. Zenith Bank is making its mark on the fixed rate bond sector. Its 1.52% two-year fixed rate bond is highly competitive and heads straight into the Moneyfacts.co.uk Best Buys. This attractive rate is no doubt going to make it a popular choice for many. Hodge Bank has amended its one-year fixed rate ISA, which now pays 0.90% yearly or monthly. Savers must invest from £5,000. Additions are not permitted; however, early access to funds is allowed subject to a penalty and closure of the account. This deal is for savers aged 16 and over and can be operated in branch, by post and over the phone. Savers looking for a tax-free home for their savings will be intrigued by this latest update from Hodge Bank. 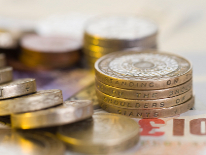 The 0.90% one-year fixed rate ISA sits comfortably within the Moneyfacts.co.uk Best Buys. With the added flexibility of early access, albeit subject to closure and a penalty, this is likely to be a great option for some. Hanley Economic Building Society has launched a new five-year fixed rate mortgage, priced at 2.35% to 31.12.21. This deal is for all applicants who wish to borrow between £50,000 and £750,000 at 80% loan-to-value. A fee of £250 is payable. An incentive package of free valuation for all borrowers and free legal fees for those remortgaging is available. This deal comes with the flexibility to make overpayments of up to 10% of the outstanding balance. Borrowers with a modest deposit will find this deal from Hanley Economic Building Society appealing. At 2.35%, this five-year fixed rate deal is reasonably priced for the market. With the added bonus of a low fee and a decent incentive package, this could be a cost-effective option for many borrowers. Hanley Economic Building Society's lending area does not include Scotland. Barclays Mortgage has launched a new two-year fixed rate mortgage, priced at 1.84% to 31.1.19. This deal is for remortgage customers only who wish to borrow between £50,000 and £250,000 at 75% loan-to-value. No fee is payable and an incentive package of free valuation, free legal fees and £250 cash rebate is available. This deal has the flexibility of making unlimited overpayments. This 1.84% two-year fixed deal sits comfortably in the market. Alongside the reasonable rate, it offers a fabulous incentive package which includes £250 cashback. As a result, this is likely to be a popular choice for those looking to remortgage with a high street lender. Barclays Mortgage's lending area includes Scotland. Ikano Bank has reduced the rate on its unsecured personal loan tier of £7,500 to £15,000. Customers can now apply for this competitive loan with a term of one to five years at 3.0% APR. Customers must be 18 or over and have a minimum applicant income of £10,000 per year. Applications can be made by phone or online. Ikano Bank has improved its loan rate to 3.0% APR, which means this deal now sits at the top of the Moneyfacts.co.uk Best Buys. It is an ideal choice for anyone looking to consolidate their debts. Moneyfacts is the UK's leading independent provider of personal finance information. For two decades, Moneyfacts' information has been the key driver behind many personal finance decisions. If you're looking for extra comment, a chart or more information, then please give us a call. We are always more than happy to help.